We all know very well that the tech giant Microsoft introduced some new and extraordinary features with the latest version of its Windows, of course, I am talking about none other than the Windows 10. And among all those features the most important one is undoubtedly the all-new Edge. 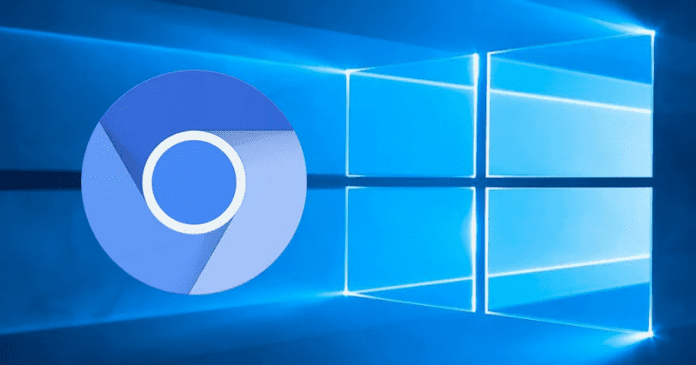 However, now according to the latest reports, the tech giant Microsoft is developing its own Chrome browser simply to replace the Edge browser. The tech giant Microsoft introduced some new and extraordinary features with the latest version of its Windows, of course, I am talking about none other than the Windows 10. And among all those features the most important one is undoubtedly the all-new Edge, the most advanced and new web browser of the tech giant Microsoft that comes by default with the latest version of Windows only, of course, Windows 10. But now, according to the latest reports, the tech giant Microsoft’s well-known and most advanced web browser, of course, Edge may be about to disappear and soon could be replaced by a new web browser which will be based on the engine of its largest competitor, of course, the tech giant Google’s Chromium. The idea would be to ensure that it could have the same expression as Internet Explorer had and would put it in an excellent position. However, the truth and reality show a completely different set of scenarios and the Edge is increasingly far from the top. To counter this scenario the tech giant Microsoft seems to be now willing to drop its new web browser and want to create a completely new web browser which will be based on the tech giant Google’s Chromium and not only that even the tech giant Google’s Chrome browser is also based on it. However, there is still no confirmation about this, but the well-known media platform, of course, WindowsCentral indicated that the internal Microsoft sources take this change for granted. The internal name of this new web browser of the tech giant Microsoft is “Anaheim” which will simply abandon the engine that has been used in recent years, EdgeHTML, using Blink. Moreover, it is not yet known if this new web browser will retain the Edge name and its image, or if the tech giant Microsoft will create something completely new to completely change its presence in its most used and latest version of Windows, of course, Windows 10. The approach of the tech giant Microsoft is not new and recently the company, of course, the tech giant Microsoft contributed code for the Chromium project, especially for its ARM version, which should use in the new version of Windows 10. With this change, the universe of web browsers will become more restricted and only Mozilla will be available as an alternative. However, it is still early to know more about “Anaheim“, of course, the upcoming new web browser of the tech giant Microsoft, but, if it is real, then the tech giant Microsoft will surely test it on the Insiders program. So, what do you think about this? Simply share all your views and thoughts in the comment section below.